1600. McWilliams, R. S., D. A. Dalton, Z. Konôpková, M. F. Mahmood, and A. F. Goncharov, Opacity and conductivity measurements in noble gases at conditions of planetary and stellar interiors, Proc. Nat. Acad. Sci. 112, 7925-7930 (2015). 1599. Cui, J., M. Yao, H. Yang, Z. Liu, F. Ma, Q. Li, R. Liu, B. Zou, T. Cui, Z. Liu, B. Sundqvist, and B. Liu, Structural deformation of Sm@C88 under high pressure, Sci. Reports 5, 13398 (2015). 1598. Zhao, J., Z. Liu, J. Reid, K. Takarabe, T. Iida, B. Wang, U. Yoshida, and J. Tse, Thermoelectric and electrical transport properties of Mg2Si multi-doped with Sb, Al and Zn, J. Mat. Chem. A 3, 19774-19782 (2015). 1597. Brygoo, S., M. Millot, L. Loubeyre, A. Lazicki, S. Hamel, T. Qi, P. M. Celliers, F. Coppari, J. H. Eggert, D. E. Fratanduono, D. G. Hicks, J. R. Rygg, R. F. Smith, D. C. Swift, G. W. Collins, and R. Jeanloz, Analysis of laser shock experiments on precompressed samples using a quartz reference and application to warm dense hydrogen and helium, J. Appl. Phys. 118, 195901 (2015). 1596. Ali, S. J., C. A. Bolme, G. W. Collins, and R. Jeanloz, Development of a broadband reflectivity diagnostic for laser driven shock compression experiments, Rev. Sci. Instrum. 86, 043112 (2015). 1595. Chang, Y. Y., S. D. Jacobsen, C. R. Bina, S. A. Thomas, J. R. Smyth, D. J. Frost, T. Boffa Ballaran, C. A. McCammon, E. H. Hauri, T. Inoue, Y. Meng, and P. Dera, Comparative compressibility of hydrous wadsleyite and ringwoodite: Effect of H2O and implications for detecting water in the transition zone, J. Geophys. Res. 120, 8259-8280 (2015). 1594. Pravica, M., D. Sneed, Y. Wang, Q. Smith, and M. White, Hexafluorobenzene under extreme conditions, J. Phys. Chem. B 120, 2854-2858 (2015). 1593. Liu, Y., D. Duan, F. Tian, H. Liu, C. Wang, X. Huang, D. Li, Y. Ma, B. Liu, and T. Cui, Pressure-induced structures and properties in indium hydrides, Inorg. Chem. 54, 9924-9928 (2015). 1592. Zhang, M., G. Gao, A. Kutana, Y. Wang, X. Zou, J. S. Tse, B. I. Yakobson, H. Li, H. Liu, and Y. Ma, Two-dimensional boron–nitrogen–carbon monolayers with tunable direct band gaps, Naonscale 7, 12023 (2015). 1591. Ahart, M., M. Somayazulu, S. Kojima, Y. Yasuda, S. Prosandeev, and R. J. Hemley, Structural transitions in Pb(In1/2Nb1/2)O3 under pressure, J. Adv. Dielect. 5, 155033 (2015). 1590. Lim, J., G. Fabbris, D. Haskel, and J. S. Schilling, Magnetic ordering at anomalously high temperatures in Dy at extreme pressures, Phys. Rev. B 91, 045116 (2015). 1589. Wilson, R. B., B. A. Apgar, W. P. Hsieh, L. W. Martin, and D. G. Cahill, Thermal conductance of strongly bonded metal-oxide interfaces, Phys. Rev. B 91, 115414 (2015). 1588. Li, D., F. Li, Y. Li, X. Wu, G. Fu, Z. Liu, X. Wang, Q. Cui, and H. Zhu, High-pressure studies of rubidium azide by Raman and infrared spectroscopies, J. Phys. Chem. C 119, 16870-16878 (2015). 1587. Li, Y., J. Hao, H. Liu, S. Lu, and J. S. Tse, High-energy density and superhard nitrogen-rich B-N compounds, Phys. Rev. Lett. 115, 105502 (2015). 1586. Bishop, M. M., N. Velisavljevic, R. Chellappa, and Y. K. Vohra, High pressure-temperature phase diagram of 1,1-diamino-2,2-dinitroethylene (FOX-7), J. Phys. Chem. A 119, 9732-9747 (2015). 1585. Yang, J., X. Tong, J. F. Lin, T. Okuchi, and N. Tomioka, Elasticity of ferropericlase across the spin crossover in the Earth's lower mantle, Sci. Reports 5, 17188 (2015). 1584. Wang, S., J. Zhu, Y. Zhang, X. Yu, J. Zhang, W. Wang, L. Bai, J. Qian, L. Yin, N. S. Sullivan, C. Jin, D. He, J. Xu, and Y. Zhao, Unusual Mott transition in multiferroic PbCrO3, Proc. Nat. Acad. Sci. 112, 15320-15325 (2015). 1583. Palmer, A., D. M. Selevitch, Y. Feng, Y. Wang, R. Jaramillo, A. Banerjee, Y. Ren, and T. F. Rosenbaum, Sub-Kelvin magnetic and electrical measurements in a diamond anvil cell with in situ tenability, Rev. Sci. Instrum. 86, 093901 (2015). 1582. Jacobsen, M. K. and N. Velisavljevic, Containment system for experiments on radioactive and other hazardous materials in a Paris-Edinburgh press, Rev. Sci. Instrum. 86, 113904 (2015). 1581. Yang, J. Y., C. Terakura, M. W. Medarde, J. S., D. Sheptyakov, X. Z. Yan, N. N. Li, W. G. Yang, H. L. Xia, J. H. Dai, Y. Y. Yin, J. G. Cheng, Y. L. Bu, Q. F. Zhang, X. D. Li, C. Q. Jin, Y. Taguchi, Y. Tokura, and Y. W. Long, Pressure-induced spin reorientation and spin state transition in SrCoO3, Phys. Rev. B 92, 195147 (2015). 1580. Stillwell, R. L., J. R. Jeffries, S. K. McCall, J. R. I. Lee, S. T. Weir, and Y. K. Vohra, Strongly coupled electronic, magnetic, and lattice degrees of freedom in LaCo5 under pressure, Phys. Rev. B 92, 174421 (2015). 1579. Jayasekara, W. T., U. S. Kaluarachchi, G. B. Ueland, A. Pandey, Y. B. Lee, V. Taufour, A. Sapkota, K. Kothapalli, N. S. Sangeetha, G. Fabbris, L. S. I. Veiga, Y. Feng, A. M. dos Santos, S. L. Bud'ko, B. N. Harmon, P. C. Canfield, D. C. Johnston, A. Kreyssig, and A. I. Goldman, Pressure-induced collapsed-tetragonal phase in SrCo2As2, Phys. Rev. B 92, 224103 (2015). 1578. Peng, F., Y. Han, H. Liu, and Y. Yao, Exotic stable cesium polynitrides at high pressure, Sci. Reports 5, 16902 (2015). 1577. Hao, J., H. Liu, W. Lei, X. Tang, J. Lu, D. Liu, and Y. Li, Prediction of a superhard carbon-rich CN compound comparable to diamond, J. Phys. Chem. C 119, 28614 (2015). 1576. Liu, W. L., W. P. Bassett, J. M. Christensen, and D. D. Dlott, Emission lifetimes of a fluorescent dye under shock compression, J. Phys. Chem. A 119, 10910-10916 (2015). 1575. Armentrout, M. M. and A. Kavner, A new high pressure andtemperature equation of state of fcc cobalt, J. Appl. Phys. 118, 194904 (2015). 1574. Townsend, J. P., J. Tsuchiya, C. R. Bina, and S. D. Jacobsen, First-principles investigation of hydrous post-perovskite, Phys. Earth Planet. Inter. 244, 42-48 (2015). 1573. Thomas, S. A., K. Wilson, M. Koch-Müller, E. H. Hauri, C. A. McCammon, S. D. Jacobsen, J. Lazarz, D. Rhede, M. Ren, N. Blair, and S. Lenz, Quantification of water in majoritic garnet, Am. Mineral. 100, 1084-1092 (2015). 1572. Thomas, S. M., S. D. Jacobsen, C. R. Bina, P. Reichart, M. Moser, E. H. Hauri, M. Koch-Müller, J. R. Smyth, and G. Dollinger, Quantification of water in hydrous ringwoodite, Front. Earth. Sci. 2, 38 (2015). 1571. Yu, Z., L. H. Wang, Q., J. Zhao, S. Yan, K. Yang, S. Sinogeikin, G. Gu, and H. K. Mao, Structural phase transitions in Bi2Se3 under high pressure, Sci. Reports 5, 15939 (2015). 1570. Stagno, V., L. Bindi, C. Park, S. N. Tkachev, V. B. Prakapenka, H. K. Mao, R. J. Hemley, P. J. Steinhardt, and Y. Fei, Quasicrystals at extreme conditions: The role of pressure in stabilizing icosahedral Al63Cu24Fe13 at high temperature, Am. Mineral. 100, 2412-2418 (2015). 1569. Macias-Martinez, C., P. Serna, and B. C. Gates, Isostructural zeolite-supported rhodium and iridium complexes: Tuning catalytic activity and selectivity by ligand modification, ACS Catal. 5, 5647-5656 (2015). 1568. Kumar, R. S., A. Svane, G. Vaitheeswaran, V. Kanchana, D. Antonio, A. L. Cornelius, E. D. Bauer, Y. Xiao, and P. Chow, Effect of pressure on valence and structural properties of YbFe2G2 heavy fermion compound - A combined inelastic x-ray spectroscopy, x-ray diffraction, and theoretical investigation, Inorg. Chem. 54, 10250-10255 (2015). 1568. Abuin, M., Z. Turgut, N. Aronhime, V. Keylin, A. Leary, V. DeGeorge, J. Horwath, S. L. Semiatin, D. E. Laughlin, and M. E. McHenry, Determination of pressure effects on the α → γ phase transition and size of Fe in Nd-Fe-B spring exchange magnets, Metall. and Mater. Trans. A 46A, 5002-5010 (2015). 1567. Kanitpanyacharoen, W., R. Vasin, D. Dewhurst, and H. R. Wenk, Linking preferred orientations to elastic anisotropy in Muderong Shale, Australia, Geophysics 80, C9-C19 (2015). 1566. Zhang, J. B., V. V. Struzhkin, W. Yang, H. K. Mao, H. Q. Lin, Y. C. Ma, N. L. Wang, and X. J. Chen, Effects of pressure and distortion on superconductivity in Tl2Ba2CaCu2O8+δ, J. Phys. : Cond. Matter 27, 445701 (2015). 1565. Zhao, J., Z. Liu, R. A. Gordon, K. Takarabe, J. Reid, and J. S. Tse, Pressure-induced phase transition and electrical properties of thermoelectric Al-doped Mg2Si, J. Appl. Phys. 118, 145902 (2015). 1564. Wang, P., D. He, L. Wang, Z. Kou, Y. Li, L. Xiong, Q. Hu, C. Xu, L. Lei, and Q. Wang, Diamond-cBN alloy: A universal cutting material, Appl. Phys. Lett. 107, 101901 (2015). 1563. Ryu, Y., M. Kim, and C. S. Yoo, Phase diagram and transformation of iron pentacarbonyl to nm layered hematite and carbon-oxygen polymer under pressure, Sci. Reports 5, 15139 (2015). 1562. Hemawan, K. W., H. Gou, and R. J. Hemley, Diamond synthesis by microwave capillary plasma chemical vapor deposition at atmospheric pressure, Appl. Phys. Lett. 107, 181901 (2015). 1561. Shamp, A. and E. Zurek, Superconducting high-pressure phases composed of hydrogen and iodine, J. Phys. Chem. Lett. 6, 4067-4072 (2015). 1560. Lim, J., G. Fabbris, D. Haskel, and J. S. Schilling, Anomalous pressure dependence of magnetic ordering temperature in Tb revealed by resistivity measurements to 141 GPa: Comparison with Gd and Dy, Phys. Rev. B 91, 174428 (2015). 1559. Xie, M., R. Mohammadi, C. L. Turner, R. B. Kaner, A. Kavner, and S. H. Tolbert, Exploring hardness enhancement in superhard tungsten tetraboride-based solid solutions using radial X-ray diffraction, Appl. Phys. Lett. 107, 041903 (2015). 1558. Mauger, L. M., Phonon thermodynamics of iron and cementite, Ph.D. Thesis, California Institute of Technology (2015). 1557. Hu, Y., P. Dera, and K. Zhuravlev, Single-crystal diffraction and Raman spectroscopy of hedenbergite up to 33 GPa, Phys. Chem. Min. 42, 595-608 (2015). 1556. Hohensee, G. T., Using high pressure to study thermal transport and phonon scattering mechanisms, Ph.D. Thesis, University of Illinois at Urbana-Champaign (2015). 1555. Hohensee, G. T., M. R. Fellinger, D. R. Trinkle, and D. G. Cahill, Thermal transport across high pressure semiconductor-metal transition in Si and Si0.991Ge0.009, Phys. Rev. B 91, 205104 (2015). 1554. Bai, L., Q. Li, S. A. Corr, M. Pravica, C. Chen, Y. Zhao, S. Sinogeiken, Y. Meng, C. Park, and G. Shen, Pressure-induced cation-cation bonding in V2O3, Phys. Rev. B 92, 134106 (2015). 1553. Chen, D. Z., C. Y. Shi, Q. An, Q. Zeng, W. L. Mao, W. A. Goddard III, and J. R. Greer, Fractal atomic-level percolation in metallic glasses, Science 349, 1306-1310 (2015). 1552. Dorfman, S. M., J. Badro, J. P. Rueff, P. Chow, Y. Xiao, and P. Gillet, Composition dependence of spin transition in (Mg,Fe)SiO3 bridgmanite, Am. Mineral. 100, 2246-2253 (2015). 1551. Li, R., J. Liu, L. Bai, J. S. Tse, and G. Shen, Pressure-induced changes in the electron density distribution in α-Ge near the α-β transition, Appl. Phys. Lett. 107, 072109 (2015). 1550. Finkelstein, G. J., P. Dera, and T. S. Duffy, High-pressure phases of cordierite from single-crystal x-ray diffraction to 15 GPa, Am. Mineral. 100, 1821-1833 (2015). 1549. Zeidler, A., M. Guthrie, and P. S. Salmon, Pressure-dependent structure of the null-scattering alloy Ti0.676Zr0.624, High Press. Res. 35, 239-246 (2015). 1548. Kyono, A., S. A. Gramsch, Y. Nakamoto, M. Sakata, M. Kato, T. Tamura, and T. Yamanaka, High-pressure behavior of cuprospinel CuFe2O4: Influence of the Jahn-Teller effect on the spinel structure, Am. Mineral. 100, 1752-1761 (2015). 1547. Xiao, G., X. Yang, X. Zhang, K. Wang, X. Huang, Z. Ding, Y. Ma, G. Zou, and B. Zou, A protocol to fabricate nanostructured new phase: B31-type MnS synthesized under high pressure, J. Am. Chem. Soc. 137, 10297-10303 (2015). 1546. Yamanaka, T., A. Kyono, Y. Nakamoto, S. Kharlamova, V. V. Struzhkin, S. A. Gramsch, H. K. Mao, and R. J. Hemley, New structure of high-pressure body-centered orthorhombic Fe2SiO4, Am. Mineral. 100, 1736-1717 (2015). 1545. Wilfong, B., M. Ahart, S. A. Gramsch, C. Stock, X. Li, H. Luo, and R. J. Hemley, High P-T Raman study of transitions in relaxor multiferroic Pb(Fe0.5Nb0.5)O3, J. Raman Spectrosc. 47, 227-232 (2015). 1544. Lobanov, M. V., V. Prakapenka, C. Prescher, Z. Konôpková, H. P. Liermann, K. L. Crispin, C. Zhang, and A. F. Goncharov, Pressure, stress, and strain distribution in the double-stage diamond anvil cell, J. Appl. Phys. 118, 035905 (2015). 1543. Zhang, J., F. L. Liu, J. K. Dong, Y. Xu, N. N. Li, W. Yang, and S. Y. Li, Structural and transport properties of the Weyl semimetal NbAs and high pressure, Chin. Phys. Lett. 32, 097102 (2015). 1542. Strzhemechny, M. A. and R. J. Hemley, Effects of rotational states on the c/a ratio in the solid hydrogens, Phys. Rev. B 91, 144102 (2015). 1541. Caracas, R. and R. J. Hemley, Ferroelectricity in high-dense H2O ice, J. Chem. Phys. 142, 134501 (2015). 1540. Naumov, I. I., R. J. Hemley, R. Hoffmann, and N. W. Ashcroft, Chemical bonding in hydrogen and lithium under pressure, J. Chem. Phys. 143, 064702 (2015). 1539. Efthimiopoulos, I., Z. T. Y. Liu, S. V. Khare, P. Sarin, T. Lochbiler, V. Tsurkan, A. Loidl, D. Popov, and Y. Wang, Pressure-induced transition in the multiferroic CoCr2O4 spinel, Phys. Rev. B 92, 064108 (2015). 1538. Schaeffer, A. M., W. Cai, E. Olejnik, J. J. Molaison, S. Sinogeikin, A. M. Dos Santos, and S. Deemyad, Boundaries for martensitic transition of 7Li under pressure, Nature Comm. 6, 8030 (2015). 1537. Singh, A. K. and H. P. Liermann, Strength of polycrystalline niobium from high-pressure x-ray diffraction data: A comparison of results from line-width and line-shift analyses, J. Appl. Phys. 118, 065903 (2015). 1536. Muramatsu, T., W. K. Wanene, M. Somayazulu, E. Vinitsky, D. Chandra, T. A. Strobel, V. V. Struzhkin, and R. J. Hemley, Metallization and superconductivity in the hydrogen-rich ionic salt BaReH9, J. Phys. Chem C 119, 18007-18013 (2015). 1535. Lim, J., Enhanced magnetism in Dy and Tb at extreme pressure, Ph.D. Thesis, Washington University in St. Louis (2015). 1534. Jacobsen, M. K., N. Velisavljevic, and S. Sinogeikin, Pressure-induced kinetics of the α to ω transition in zirconium, J. Appl. Phys. 118, 025902 (2015). 1533. Mao, Z., J. F. Lin, J. Yang, T. Inoue, and V. B. Prakapenka, Effects of the Fe3+spin transition on the equationof state of bridgmanite, Geophys. Res. Lett. 42, 4335-4342 (2015). 1532. Merkel, S. and N. Hilairet, Multifit/Polydefix: a framework for the analysis of polycrystal deformation using x-rays, J. Appl. Cryst. 48, 1307-1313 (2015). 1531. Tanis, E. A., A. Simon, O. Tschauner, P. Chow, Y. Xiao, P. Burnley, C. J. Cline II, J. M. Hanchar, T. Pettke, G. Shen, and Y. Zhao, The mobility of Nb in rutile-saturated NaCl- and NaF-bearing aqueous fluids from 1–6.5 GPa and 300–800 °C, Am. Mineral. 100, 1600-1609 (2015). 1530. Montgomery, J. M., High pressure high temperature phase diagram of heavy rare earth metals, Ph.D. Thesis, University of Alabama at Birmingham (2015). 1529. Pigott, J. S., Exploration of Earth's deep interior by merging nanotechnology, diamond-anvil cell experiments, and computational chemistry, Ph.D. Thesis, Ohio State University (2015). 1528. Tomasino, D., Chemical and physical transformation of simple molecular systems at extreme conditions, Ph.D. Thesis, Washington State University (2015). 1527. Chow, P., Y. M. Xiao, E. Rod, L. G. Bai, G. Shen, S. V. Sinogeikin, N. Gao, Y. Ding, and H. K. Mao, Focusing polycapillary to reduce parasitic scattering for inelastic x-ray measurements at high pressure, Rev. Sci. Instrum. 86, 072203 (2015). 1526. Hrubiak, R., S. V. Sinogeikin, E. Rod, and G. Shen, The laser micro-machining system for diamond anvil cell experiments and general precision machining applications at the High Pressure Collaborative Access Team, Rev. Sci. Instrum. 86, 072202 (2015). 1525. Kono, Y., C. Kenney-Benson, Y. Shibazaki, C. Park, Y. Wang, and G. Shen, X-ray imaging for studying behavior of liquids at high pressures and high temperatures using Paris-Edinburgh press, Rev. Sci. Instrum. 86, 072207 (2015). 1524. Meng, Y., R. Hrubiak, E. Rod, and R. Boehler, New developments in laser-heated diamond anvil cell with in situ synchrotron x-ray diffraction at High Pressure Collaborative Access Team, Rev. Sci. Instrum. 86, 072201 (2015). 1523. Park, C., D. Popov, D. Ikuta, C. Lin, C. Kenney-Benson, E. Rod, A. Bommannavar, and G. Shen, New developments in micro-x-ray diffraction and x-ray absorption spectroscopy for high-pressure research at 16-BM-D at the Advanced Photon Source, Rev. Sci. Instrum. 86, 072205 (2015). 1522. Popov, D., C. Park, C. Kenney-Benson, and G. Shen, High pressure Laue diffraction and its application to study microstructural changes during the α → β phase transition in Si, Rev. Sci. Instrum. 86, 072204 (2015). 1521. Shen, G. and S. V. Sinogeikin, Preface: High-pressure studies with x-rays, Rev. Sci. Instrum. 86, 071901 (2015). 1520. Sinogeikin, S. V., J. S. Smith, E. Rod, C. Lin, C. Kenney-Benson, and G. Shen, Online remote control systems for static and dynamic compression and decompression using diamond anvil cells, Rev. Sci. Instrum. 86, 072209 (2015). 1519. Smith, J. S., S. V. Sinogeikin, C. Lin, E. Rod, L. Bai, and G. Shen, Developments in time-resolved high pressure x-ray diffraction using rapid compression and decompression, Rev. Sci. Instrum. 86, 072208 (2015). 1518. Xiao, Y. M., P. Chow, G. Boman, L. G. Bai, E. Rod, A. Bommannavar, C. Kenney-Benson, S. V. Sinogeikin, and G. Shen, New developments in high pressure x-ray spectroscopy beamline at High Pressure Collaborative Access Team, Rev. Sci. Instrum. 86, 072206 (2015). 1517. Martinez-Macias, C., M. Chen, D. A. Dixon, and B. C. Gates, Single-site zeolite-anchored organoiridium carbonyl complexes: Characterization of structure and reactivity by spectroscopy and computational chemistry, Chem. Eur. J. 21, 11825-11835 (2015). 1516. Prescher, C. and V. B. Prakapenka, DIOPTAS: A program for reduction of two-dimensional X-ray diffraction data and data exploration, High Press. Res. 35, 223-230 (2015). 1515. Vohra, Y. K., G. K. Samudrala, S. L. Moore, J. M. Montgomery, G. M. Tsoi, and N. Velisavljevic, High pressure studies using two-stage diamond micro-anvils grown by chemical vapor deposition, High Press. Res. 35, 282-288 (2015). 1514. Zurek, E. and W. Grochala, Predicting crystal structures and properties of matter under extreme conditions via quantum mechanics: the pressure is on, Phys. Chem. Chem. Phys. 17, 2917-2934 (2015). 1513. Somayazulu, M., P. Dera, J. Smith, and R. J. Hemley, Structure and stability of solid Xe(H2)n, J. Chem. Phys. 142, 104503 (2015). 1512. Panero, W. R., J. S. Pigott, D. M. Reaman, J. E. Kabbes, and Z. Liu, Dry (Mg,Fe)SiO3 perovskite in the Earth's lower mantle, J. Geophys. Res. 120, 894-908 (2015). 1511. Goncharov, A. F., N. Holtgrew, G. Qian, C. Hu, A. R. Oganov, M. Somayazulu, E. Stavrou, C. J. Pickard, A. Berlie, F. Yen, M. F. Mahmood, S. S. Lobanov, Z. Konopkova, and V. Prakapenka, Backbone NxH compounds at high pressure, J. Chem. Phys. 142, 214308 (2015). 1510. Fancher, C. M., L. Zhao, M. Nelson, L. Bai, G. Shen, and J. L. Jones, Pressure-induced structures of Si-doped HfO2, J. Appl. Phys. 117, 234102 (2015). 1509. Lavina, B. and Y. Meng, Unraveling the complexity of iron oxides at high pressure and tempreature: Synthesis of Fe5O6, Sci. Adv. 1, e1400260 (2015). 1508. Veiga, L. S. I., G. Fabbris, M. van Veenendaal, N. M. Souza-Neto, H. L. Feng, K. Yamaura, and D. Haskel, Fragility of ferromagnetic double exchange interactions and pressure tuning of magnetism in 3d−5d double perovskite Sr2FeOsO6, Phys. Rev. B 91, 235135 (2015). 1507. Baker, J., R. S. Kumar, D. Sneed, A. Conolly, Y. Zhang, N. Velisavljevic, J. Paladugu, M. Pravica, C. Chen, A. Cornelius, and Y. Zhao, Pressure induced structural transitions in CuSbS2 and CuSbSe2 thermoelectric compounds, J. Alloy. Comp. 643, 186-194 (2015). 1506. Finkelstein, G. J., P. K. Dera, and T. S. Duffy, Phase transitions in orthopyroxene (En90) to 49 GPa from single-crystal x-ray diffraction, Phys. Earth Planet. Inter. 244, 78-86 (2015). 1505. Gou, H., B. L. Yonke, A. Epshteyn, D. Y. Kim, J. S. Smith, and T. A. Strobel, Pressure-induced polymerization of P(CN)3, J. Chem. Phys. 142, 194503 (2015). 1504. Jeffries, J. R., N. P. Butch, Y. Vohra, and S. T. Weir, Pressure evolution of electrical transport in the 3D topological insulator (Bi,Sb)2(Se,Te)3, J. Phys. : Conf. Series 592, 012124 (2015). 1503. Lang, M., C. Tracy, R. I. Palomares, F. W. Zhang, D. Severin, D. Bender, C. Trautmann, C. Park, V. B. Prakapenka, V. A. Skuratov, and R. C. Ewing, Characterization of ion-induced radiation effects in nuclear materials using synchrotron x-ray techniques, J. Mater. Res. 30, 1366-1379 (2015). 1502. Zhao, Z., H. Zhang, S. Wang, S. Hirai, Z. Zeng, and W. L. Mao, Structural transition and amorphization in compressed α-Sb2O3, Phys. Rev. B 91, 184112 (2015). 1501. Hohensee, G. T., R. B. Wilson, and C. Cahill, Thermal conductance of metal-diamond interfaces at high pressure, Nature Comm. 6, 6578 (2015). 1500. Hemley, R. J., V. V. Struzhkin, R. E. Cohen, and G. Shen, Theory and practice - Measuring high-pressure electronic and magnetic properties, in Treatise on Geophysics, 2nd ed.,313-349 (Elsevier, 2015). 1499. Li, Y. L., S. N. Wang, A. R. Oganov, H. Guo, J. S. Smith, and T. A. Strobel, Investigation of exotic stable calcium carbides using theory and experiment, Nature Comm. 6, 6974 (2015). 1498. Palomares, R. I., C. Tracy, F. W. Zhang, C. Park, D. Popov, C. Trautmann, R. C. Ewing, and M. Lang, In situ defect annealing of swift heavy ion irradiated CeO2 and ThO2 using synchrotron x-ray diffraction and a hydrothermal diamond anvil cell, J. Appl. Cryst. 48, 711-717 (2015). 1497. Yan, X., D. Tan, X. Ren, W. Yang, D. He, and H. K. Mao, Anomalous compression behavior of germanium during phase transformation, Appl. Phys. Lett. 106, 171902 (2015). 1496. Moore, S. L. and Y. K. Vohra, Nitrogen and silicon defect incorporation during homoepitaxial CVD diamond growth on (111) surfaces, Mater. Res. Soc. Symp. Proc. 1734, DOI: 10.1557/opl.2015.1304 (2015). 1495. Shamp, A. and E. Zurek, Theoretical predictions of novel potassium chloride phases under pressure, Phys. Chem. Chem. Phys. 17, 12265 (2015). 1494. Naumov, I. I. and R. J. Hemley, Origin of transition between metallic and insulating states in simple metals, Phys. Rev. Lett. 114, 156403 (2015). 1493. Bai, L., Q. Li, S. A. Corr, Y. Meng, C. Park, S. V. Sinogeikin, C. Ko, J. Wu, and G. Shen, Pressure-induced phase transitions and metallization in VO2, Phys. Rev. B 91, 104110 (2015). 1492. Kaercher, P., E. Zepeda-Alarcon, V. Prakapenka, S. V. Sinogeikin, W. Kanitpanyacharoen, and H. R. Wenk, Preferred orientation in experimentally deformed stishovite: implications for deformation mechanisms, Phys. Chem. Minerals 42, 275-285 (2015). 1491. Wang, Y., T. Wen, L. Tang, L. Yang, W. Yang, and Y. Zhao, Impact of hydrostatic pressure on the crystal structure and photoluminescence properties of Mn4+-doped BaTiF6 red phosphor, Dalton Trans. 44, 7578-7585 (2015). 1490. Zeng, Z., Q. Zeng, N. Liu, A. R. Oganov, Q. Zeng, Y. Cui, and W. L. Mao, A Novel Phase of Li15Si4 Synthesized under Pressure, Adv. Energy Mater., DOI: 10.1002/aenm.201500214 (2015). 1489. Goncharov, A. F., S. S. Lobanov, X. Tan, G. T. Hohensee, D. G. Cahill, J. F. Lin, S. M. Thomas, T. Okuchi, and N. Tomioka, Experimental study of thermal conductivity at higher pressures: Implications for the deep Earth's interior, Phys. Earth Planet. Inter., doi:10.1016/j.pepi.2015.1002.1004 (2015). 1488. Haberl, B., M. Guthrie, S. V. Sinogeikin, G. Shen, J. S. Williams, and J. E. Bradby, Thermal evolution of the metastable r8 and bc8 polymorphs of silicon, High Press. Res. 2, 99-116 (2015). 1487. Hu, Q. Y., J. F. Shu, A. Cadien, Y. Meng, W. G. Yang, H. W. Sheng, and H. K. Mao, Polymorphic phase transition mechanism of compressed coesite, Nature Comm. 6, 6630 (2015). 1486. Kono, Y., C. Kenney-Benson, Y. Shibazaki, C. Park, G. Shen, and Y. Wang, High-pressure viscosity of liquid Fe and FeS revisited by falling sphere viscometry using ultrafast x-ray imaging, Phys. Earth Planet. Inter. 241, 57-64 (2015). 1485. Nakajima, Y., R. Wang, T. Metz, X. Wang, L. Wang, H. Cynn, S. T. Weir, J. R. Jeffries, and J. Paglione, High-temperature superconductivity stabilized by electride-hole interband coupling in collapsed tetragonal phase of KFe2As2 under high pressure, Phys. Rev. B 91, 060508(R) (2015). 1484. Boulard, E., D. Pan, G. Galli, Z. Liu, and W. L. Mao, Tetrahedrally coordinated carbonates in Earth's lower mantle, Nature Comm. 6, 6311 (2015). 1483. Cheng, J., K. E. Kweon, S. A. Larregola, Y. Ding, Y. Shirako, L. G. Marshall, Z. Y. Li, X. Li, A. M. dos Santos, M. R. Suchomel, K. Matsubayashi, Y. Uwakoto, G. S. Hwang, J. B. Goodenough, and J. S. Zhou, Charge disproportionation and the pressure-induced insulator-metal transition in cubuc perovskite PbCr03, Proc. Nat. Aca. Sci. 112 (2015). 1482. Gao, J., W. Huang, X. Wu, D. Fan, Z. Wu, D. Xia, and S. Qin, Compressibility of carbonophosphate bradleyite Na3Mg(CO3) (PO4) by x‑ray diffraction and Raman spectroscopy, Phys. Chem. Minerals 42, 191-201 (2015). 1481. Fabbris, G., J. Lim, L. S. I. Veiga, D. Haskel, and J. S. Schilling, Electronic and structural ground state of heavy alkali metals at high pressure, Phys. Rev. B 91, 085111 (2015). 1480. Liermann, H. P., X-ray diffraction at extreme conditions: Today and tomorrow, in X-ray diffraction: Modern experimental techniques (eds. O. H. Seeck and Murphy, B. ), 255-314 (CRC Press, Boca Raton, 2015). 1479. Baumeister, J. L., E. M. Hausrath, A. A. Olsen, O. Tschauner, C. T. Adcock, and R. V. Metcalf, Biogeochemical weathering of serpentinites: An examination of incipient dissolution affecting serpentine soil formation, Appl. Geochem. 54, 74-84 (2015). 1478. Dong, Z. and Y. Song, Size and morphology dependent structural transformations in anatase TiO2 nanowires under high pressures, Can. J. Chem. 93, 165-172 (2015). 1477. Huang, X., F. Li, Q. Zhou, G. F. Wu, Y. Huang, L. Wang, B. Li, and T. Cui, In situ synchrotron x-ray diffraction with laser-heated diamond anvil cells study of Pt up to 95 GPa and 3150 K, RSC Adv. 5, 14603 (2015). 1476. Kim, D. Y., S. Stefanoski, O. O. Kurakevych, and T. A. Strobel, Synthesis of an open-framework allotrope of ​silicon, Nature Mat. 14, 169-173 (2015). 1475. 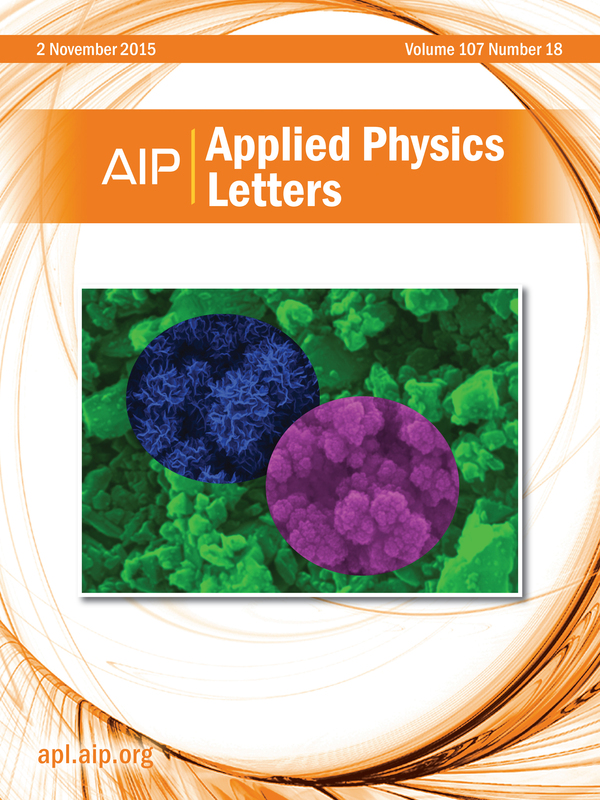 Tracy, C. L., M. Lang, J. M. Pray, F. W. Zhang, D. Popov, C. Park, C. Trautmann, M. Bender, D. Severin, V. A. Skuratov, and R. C. Ewing, Redox response of actinide materials to highly ionizing radiation, Nature Comm. 6, 6133 (2015). 1474. Zhao, Z., E. F. Wang, H. Yan, Y. Kono, B. WEn, L. Bai, F. Shi, J. Zhang, C. Kenney-Benson, C. Park, Y. Wang, and G. Shen, Nanoarchitectured materials composed of fullerene-like spheroids and disordered graphene layers with tunable mechanical properties, Nature Comm. 6, 6212 (2015). 1473. Foroozani, N., J. Lim, G. Fabbris, P. F. S. Rosa, Z. Fizk, and J. S. Schilling, Suppression of dense Kondo state in CeB6 under pressure, Physica B 457, 12-16 (2015). 1472. Mkrtcheyan, V., R. Kumar, J. Baker, A. Connolly, D. Antonio, A. Cornelius, and Y. Zhao, High pressure transport and structural studies on Nb3Ga superconductor, Physica B 459, 21-23 (2015). 1471. Nie, Z., Y. Wang, S. Shang, Q. Zeng, Y. Ren, D. Liu, W. Yang, Y. Wang, and Z. K. Liu, Strain-induced dimensionality crossover of precursor modulations in Ni2MnGa, Appl. Phys. Lett. 106, 021910 (2015). 1470. Spice, H., C. Sanloup, B. Cochain, C. de Grouchy, and Y. Kono, Viscosity of liquid fayalite up to 9 GPa, Geo. Cosmo. 148, 219-227 (2015). 1469. Zhang, D., J. M. Jackson, J. Zhao, W. Sturhahn, E. E. Alp, T. S. Toellner, and M. Y. Hu, Fast temperature spectrometer for samples under extreme conditions, Rev. Sci. Instrum. 86, 013105 (2015). 1468. Sun, Y., L. Wang, Y. Liu, and Y. Ren, Birnessite-type MnO2 nanosheets with layered structurs under high pressure: Elimination of crystalline stacking faults and oriented laminar assembly, Small 11, 300-305 (2015). 1467. Fitzgibbons, T. C., M. Guthrie, E. S. Xu, V. H. Crespi, S. K. Davidowski, G. D. Cody, N. Alem, and J. V. Badding, Benzene-derived carbon nanothreads, Nature Mat. 14, 43-47 (2015).